The 2009 Masterplan Permission and S106 Agreement set a cap on parking of 5,422 spaces. This was linked to a Travel Plan to encourage more sustainable modes of travel to and from campus. Implementing the Travel Plan has resulted in increased public transport use, car sharing and cycling. However, parking remains important as the campus is situated on the edge of the city with no easy access to rail stations. The completed Lynchgate Car Park (629 spaces) and the Kirby Corner Car Park (1300 spaces), which is now under construction, were approved within the current overall cap on parking assuming other car park spaces being lost. The University is also managing a number of temporary car parks and will require further provision, as existing car parks are demolished or removed to make way for new development. 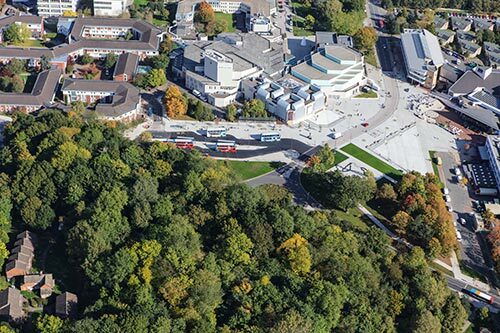 To maintain a reasonable ratio of car parking to staff and visitors to the University, including Warwick Arts Centre and the new University Sports Hub, the planning application will seek to increase the parking cap by 1,030 spaces. 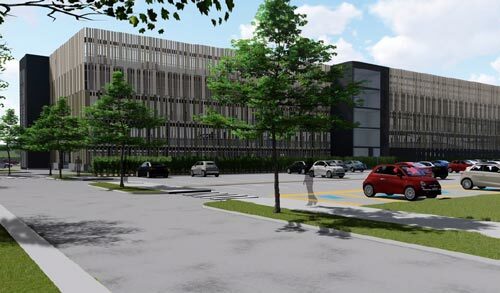 This will be achieved by the construction of a new Multi-Storey Car Park at Gibbet Hill (c.650 spaces) and further rationalisation of parking across central campus. This additional parking on campus will help relieve some local roads of on-street parking, but it will also add traffic to the existing network. This is being assessed with the highway authorities and initial results show that there will be increased queuing at some junctions at peak hours by 2021. Where possible, the University will fund suitable junction improvements to alleviate this, and/or make financial contributions to the highway authorities for future transport investment, including for improvements to the cycle network and to public transport provision such as electric buses. 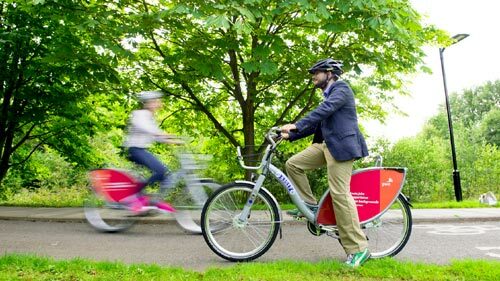 The University will renew its Travel Plan to set ambitious targets going forward for sustainable transport options such as further public transport, walking, cycling and car sharing measures. In the longer term, the University through its new masterplan will support further transport improvements, including promoting the A46 Link Road, a new rail station on the Coventry- Leamington Line and a Very Light Rail link to the city centre and station and the cycle network.